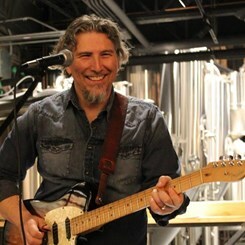 Has been teaching over 17 years, and has played and performed professionally over 20 years. Over the years he has played in the opening bands such as Kenny Chesney, Martina McBride, Terri Clark and others. He was also asked to perform in Travis Tritt’s backup band for a special event in Atlanta. Mike has a bachelor’s degree from Kennesaw State College as well as a Certificate of Music Performance from the Atlanta Institute of Music. Request Lessons with Mike today!